On the 18th June 2011, on a historical site, in the XIII. Century Assumburg Castle, which also nowadays – being typical of the Dutch architecture – shines in all its splendour, formation of the Dutch Unit of KMFAP (Sovereign Order of Saint John of Jerusalem, Knights of Malta, Federation of the Autonomous Priories ) Magisterial State Guard was announced. Sir Frank Philipoom – Knight Commander of Malta and Knight of Cyprus was charged by H.G. George Popper – Grand Chancellor of the Sovereign Order of Cyprus – with the unit's guidance and was appointed to Chief Commander of the Dutch Unit. Sir George Popper also announced for the present Dutch Guard members that Sir Frank's appointment as Brigadier General has been approved by the Grand Master of KMFAP. 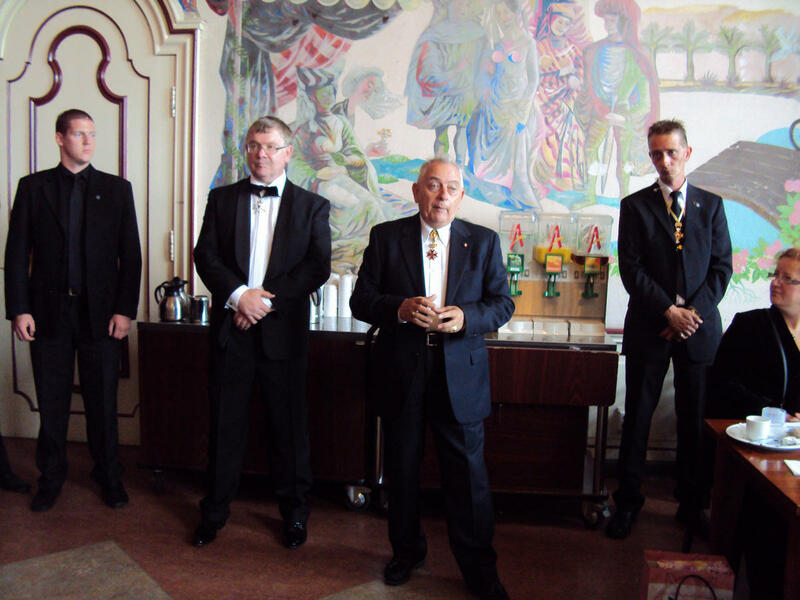 Members of the newly established unit are – almost without exception – participants of numerous IBSSA (International Bodyguard and Security Services Association) training courses, trained professionals, a part of whom are already members of several Brother Knighthoods. The special trainings of the group were led by Mr. Attila Farkas, candidate for Knight of Cyprus, Master Teacher of IBSSA.